The Slit Seal is a resistant, instant self-closing 96-well plate seal. 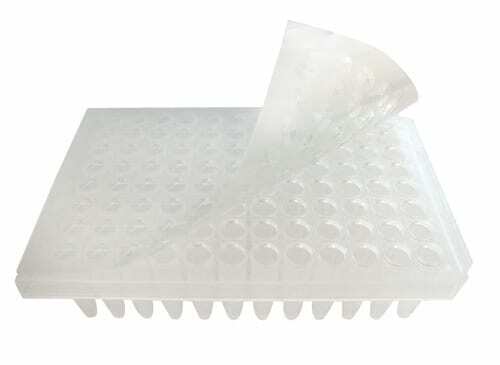 The adhesive-free, pre-cut slits made of silicone and PET allows easy insertion and withdrawal of pipette tips and sampling needles without dragging. 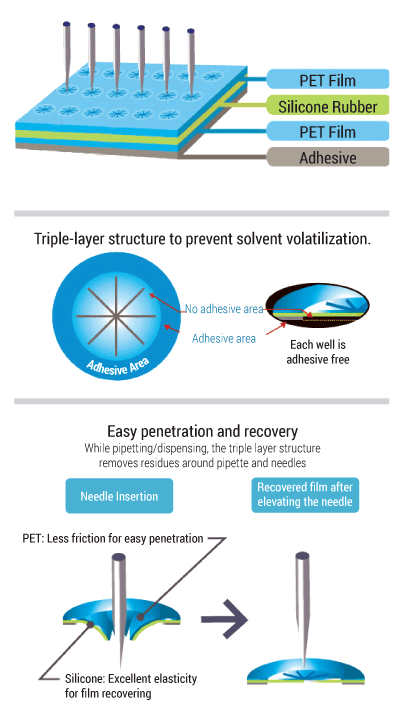 The Slit Seal’s main purpose is to prevent solvent evaporation and cross-contamination. Some suggested applications are Automation, SPE, HPLC, LC/MS, and ADME. Pre-cut slits open easily, and PET layer reduces friction for very easy handling. Lower cost than silicone mats. Toth, C. A., Kuklenyik, Z., & Barr, J. R. (2019). 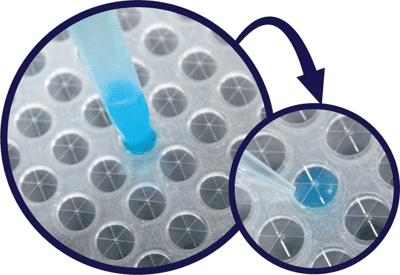 Nuts and Bolts of Protein Quantification by Online Trypsin Digestion Coupled LC-MS/MS Analysis. In Functional Proteomics (pp. 295-311). Humana Press, New York, NY. Berg, T., Eliassen, E., Jørgenrud, B., Kabashi, S., Petukhov, A., & Bogstrand, S. T. (2018). Determination of phosphatidylethanol 16: 0/18: 1 in whole blood by 96‐well supported liquid extraction and UHPLC‐MS/MS. Journal of Clinical Laboratory Analysis, e22631. Yasui, M., Hiroshima, M., Kozuka, J., Sako, Y., & Ueda, M. (2018). Automated single-molecule imaging in living cells. Nature Communications, 9(1), 3061.